Today’s tutorial will tell you about Long Tail Keywords. What is Long tail keywords? What are its benefits? How to find and use them? These are Keyword phrases that contain 4 or more words. When you optimize your site with such keywords, you get a good result and competition is also very low. Words less than three words are called short tail keywords. “Create Website” is a good example of short tail keywords. 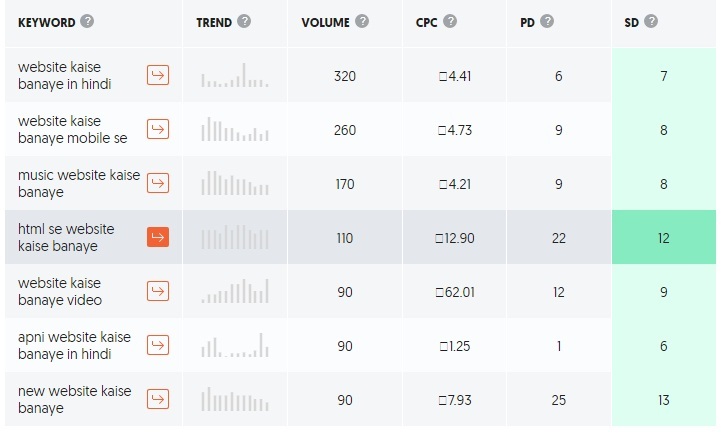 The search volume of these types of keywords is much higher than the long-tail keyword. Now if you are thinking of targeting your site with short-tail keywords, then stay a little bit. Here are some things you need to know. 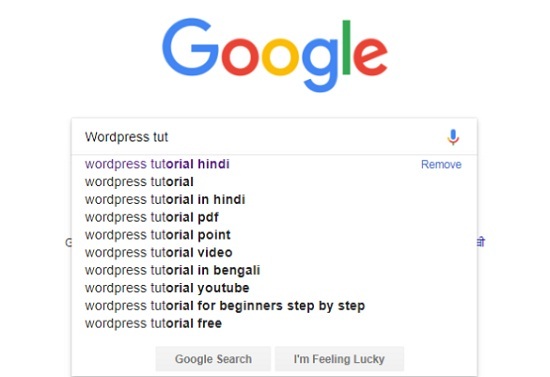 Suppose a user wants to create a website on WordPress and when he googling “create website” which is a short tail keyword, Google will show results for making websites on different platforms (WordPress, Joomla, Drupal, Blogger). Clearly, Short tail keywords do not provide accurate search results. Also, competition is also very high. But when you optimize your content with long tail keywords, “How to Create a Website on WordPress”, your content will rank well in SERPs and get more traffic. The reason, long-tail keywords are less competitive. That’s why, to optimize your site and get more traffic, use long-tail keywords instead of short tails. There are many benefits to using long tail keywords. Above explanation is not enough. Do you know more than half the search is done by Long tail keywords? Even if you have to search for something, then you will use long tail keywords. Head keywords (single word) have higher competition. But due to low competition on long tail keywords, they rank well in the search engine. Long tail keywords are descriptive. If you want to get targeted audiences for your site, then long-tail keywords can help you a lot. Users search for anything using long-tail keywords. The reasons they are descriptive and provide better results. But you can not get traffic and better conversion rates overnight. If you want to rank on short tail keywords, then long tail keywords can help you because it also includes short tail keywords. As I said earlier, long-tail Keywords are less competitive. Competition in some niches is very high, in which it is very difficult to rank. If you want to stay out of competition, then optimize your site with long tail keywords. It is better to optimize content by long tail keywords instead of short tail keywords. Because they provide a better user experience and it belongs to On Page SEO. You can easily find long tail keyword with the help of short tail keywords. First, visit Google.com. Enter your short tail keyword. This will show you some suggestions as long tail keywords. As you can see in the screenshot below. You can use these as long tail keywords in your content. You can use any good keyword research tools to check their search volume, CPC, competition. Apart from this, you can also search for good long tail keywords for your site using the Google keyword planner. This tool shows search volume, CPC, competition, and many more. First of all, visit the Google Keyword Planner. Then click onFind new keywords. 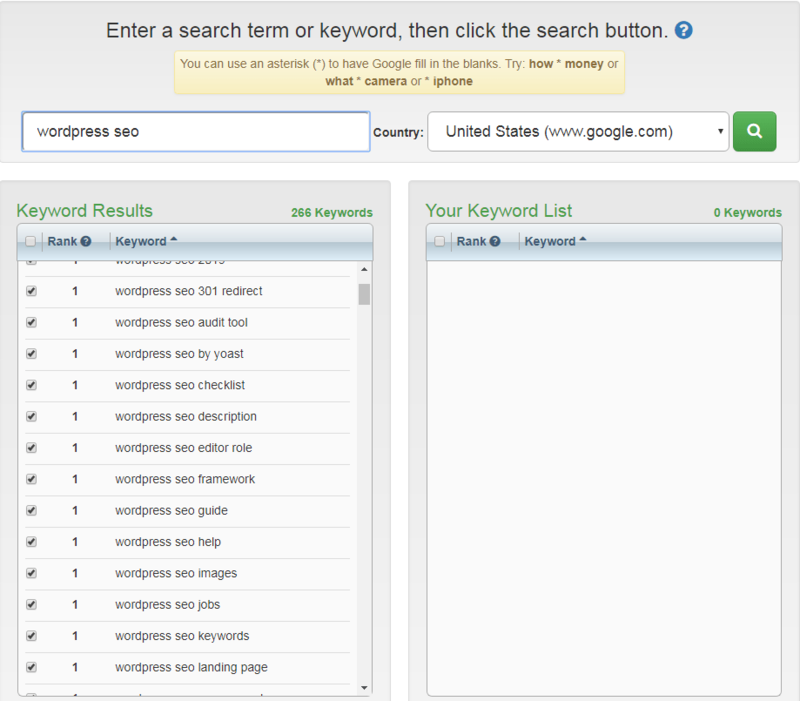 Here, type your short tail keyword (WordPress SEO) Then click on GET STARTED button. This will show a lot of results related to your keyword. From here you can select good long tail keywords for your content. There are lots of tools available in the market that can help find the best long tail keywords. Answer the Public – Using this tool, you can easily find long-tail keywords. It shows you a good overview of keywords when you search. Google AutoComplete Tool – This helps you find long-tail keywords for any kind of niche. Just type your keyword. This will show you a good result of Long-tail keywords. Google Auto-Suggest – Enter your keyword in Google search. It will start showing you some suggestions as long tail keywords. Google Keyword Planner – Developed by Google, is a very good keyword research tool. With this help, you can easily find any type of keywords whether they are long tail keywords or anything. The tool helps you find out the keyword’s competitions, monthly searches, CPC and more. Soovle – It is also a very popular tool that helps find long-tail keywords. Google related keywords search – This trick can also be helpful in finding long tail keywords. When you search anything in Google, after the search result you see some keywords that are in the form of long tail keywords. You can use these as long tail keywords for your site. Ubersuggest – It has been developed by Neilpatel. With this tool, you can easily find good long tail keywords. SEMrush – This is one of my most favourite tools that help keep an eye on your competitor, along with keyword research. However, its free version comes with very limited features. Its premium version starts from $ 99.95/month. Ahrefs – It is a premium Keyword research tool that helps you find good keywords for your website and monitors the competitors. But keep one thing in mind, do not use only one long tail keyword in your content. Optimize your content for different long-tail keywords. This technique helps you to get a good rank in SERPs. Try to optimize all parts of your blog posts such as titles, meta descriptions and subheadings with long tail keywords. Even your images. It boosts both your ranking and traffic. Title – Use well-researched long tail keywords for your title. Find viral and popular titles related to your content. Then create your title on their basis. Meta Description – Apply the same process for meta description like title. Keep your meta description short and descriptive. Content – Write lengthy content and use the long tail keywords in the right place. It helps to get a better rank in SERPs. But keep one thing in mind, avoid keyword stuffing. Images – Use long tail keywords for the Alt tag (Alternative text) of images, but it should be related to your main keyword. This helps you get a good rank in image search. Subheadings – Using proper subheading in content is very important. It makes your content reader-friendly. Use your main keywords and long tail keywords in subheadings. It helps search engines better understand your content. In this tutorial, I told you – What is Long tail keywords? What are its benefits? How to find and use them? If you are a new blogger, then this article will help you start keyword research correctly. Plus, it will help in getting popularity quickly.